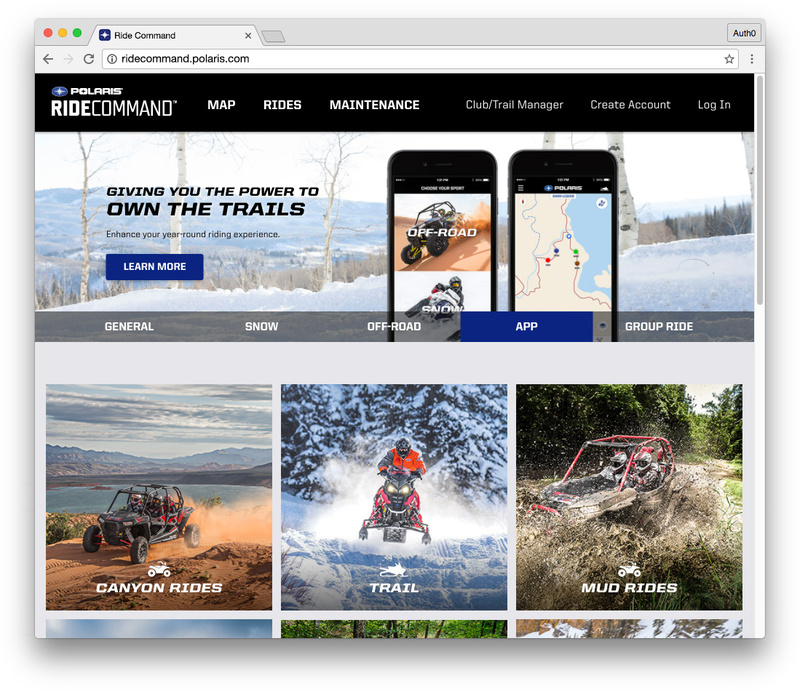 BELLEVUE, WA - Polaris, a powersports company specializing in the manufacture of ATVs, side-by-sides, motorcycles, snow machines, and more, has chosen Auth0 as their identity management platform for multiple use cases within their ecosystem of applications and portals. Their dealer portal services external businesses (B2B) as well as internal Polaris employees (B2E). Their Ride Command application is available to consumers as a mobile app as well as in-dash in motorcycles and some snow machines (B2C). In order to meet the needs of all use cases, Polaris needed a solution that manages B2B, B2C, and B2E. Finding such a solution would negate the need to implement multiple solutions to handle different use cases, which could potentially result in excessive workload and serious integration complications. Auth0 was the answer to handling all use cases securely with one platform. In addition, Auth0 also met Polaris's needs for enterprise federation, Single-Sign On, and cloud support. Auth0 has enabled Polaris to implement authentication solutions for their existing use cases, but it doesn't stop there. Additional use cases for Auth0 are emerging at Polaris now that they have an easy way to implement powerful, robust authentication. Polaris looks forward to additional Auth0 implementations in future products as well as current ones. Read more in our Polaris Case Study.